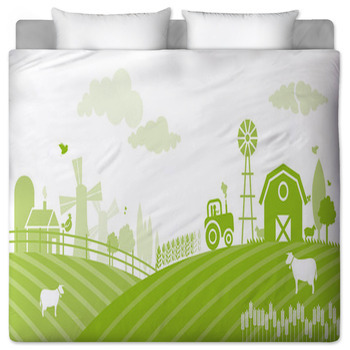 Farm bedding captures the spirit and beauty of farm life and brings you one step closer to nature and the great outdoors. 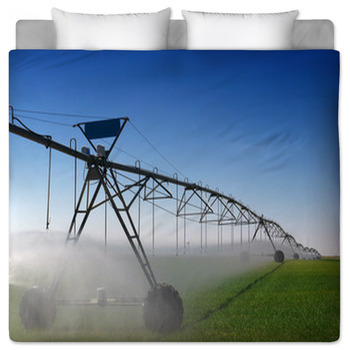 If you've ever visited or lived on one, understanding that this peaceful and hardworking lifestyle is more than merely a job. 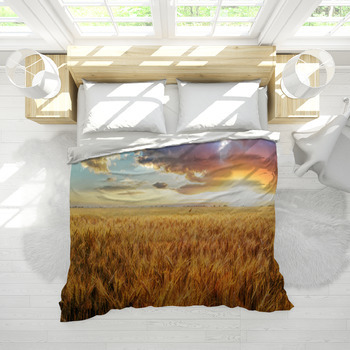 From a ranch in the open west to a grain field in the Midwest, the scenic beauty of the land adds a touch of nostalgia to your bedroom. 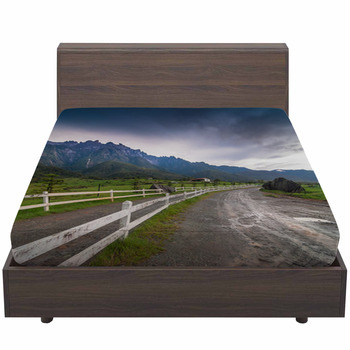 Whether you like riding in tractors or working animals and getting dirty, just follow the gravel road to sweet dreams each night with custom bedding. 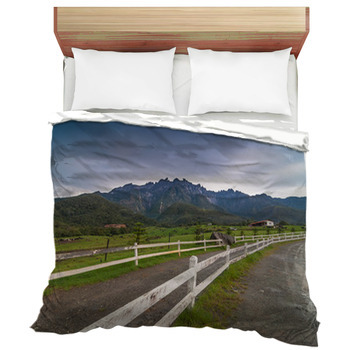 If you live on one, or have a vacation farm, then the lifestyle of back roads and working up a sweat is the realization of a dream and this theme brings that dream home with a personalized comforter or duvet cover. Turning this outdoor lifestyle into your home's signature style won't take working up a sweat, but instead will be as easy as a glass of lemonade on a hot day. 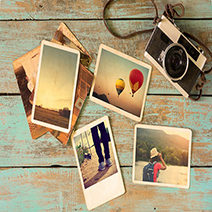 Find the design that represents yours or the one closest to your heart the best. There's an image in the gallery for you. 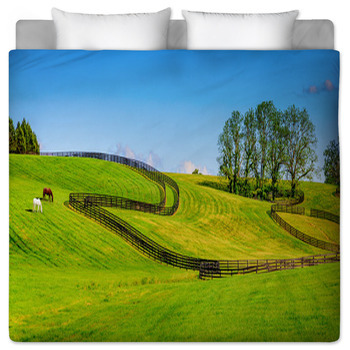 These designs can include your favorite animals or an action-packed rodeo scene. 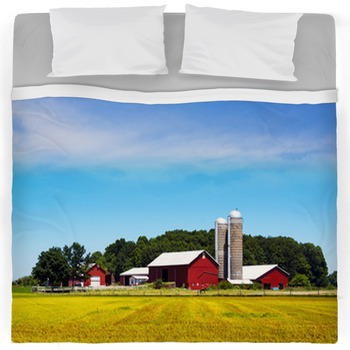 Whatever your favorite farming aspect, there's a design to match not only your bedding but also your bedroom walls, bathroom and any part of your house. 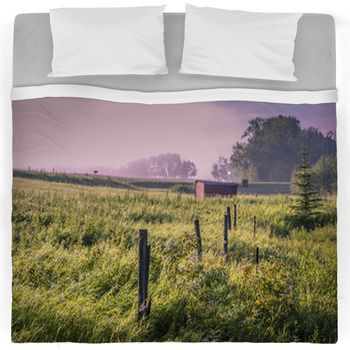 If you do not have a farm but have been to one, or dream of owning one in the future, these designs will bring you closer to realizing your dream. 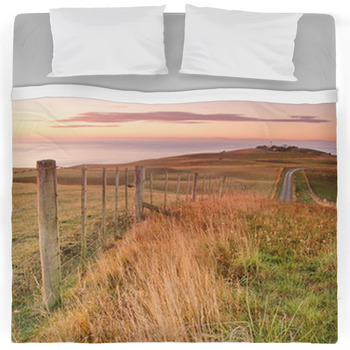 Imagine sleeping at night with your dream keeping you warm and safe. 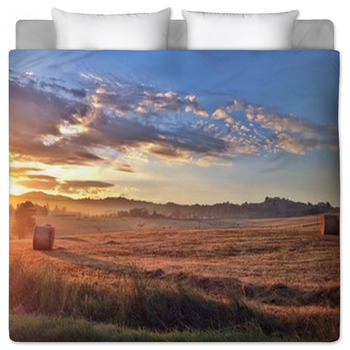 What better way to end an evening, than being covered by a themed comforter or duvet. you can make it possible to keep your dream alive. 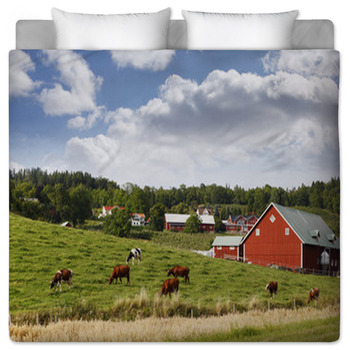 Plus, if you know anyone who really loves being on a farm, you could have custom bedding created and delivered right to their front door. 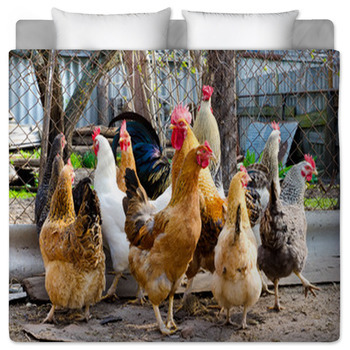 What better way to give a gift than a gift they will use and enjoy each and every day.